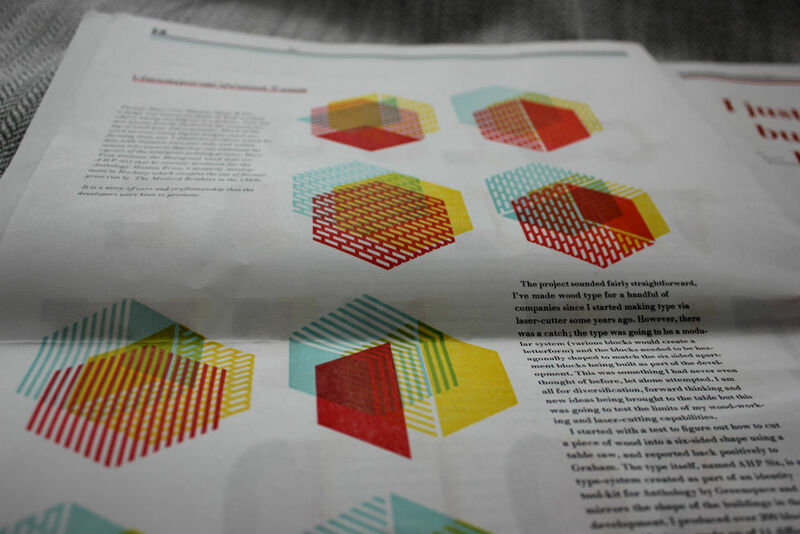 The most recent Stack delivery I received is the beautiful 2nd issue of Double Dagger, a beautiful broadsheet style magazine about printing. I love reading printed magazines and books in the age of Kindles and e-readers, although I know nearly nothing about printing. So I found it fascinating to learn more ‘behind the scenes’ of the mechanics and craft of the process of letterpress printing. While a lot went over my head, what I did absorb was incredibly interesting. 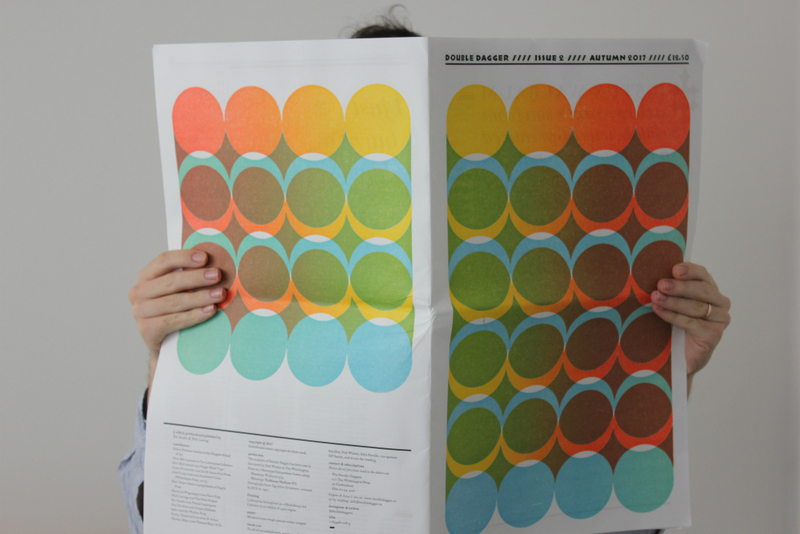 For instance, did you know that colour is the new bold in the printing world? 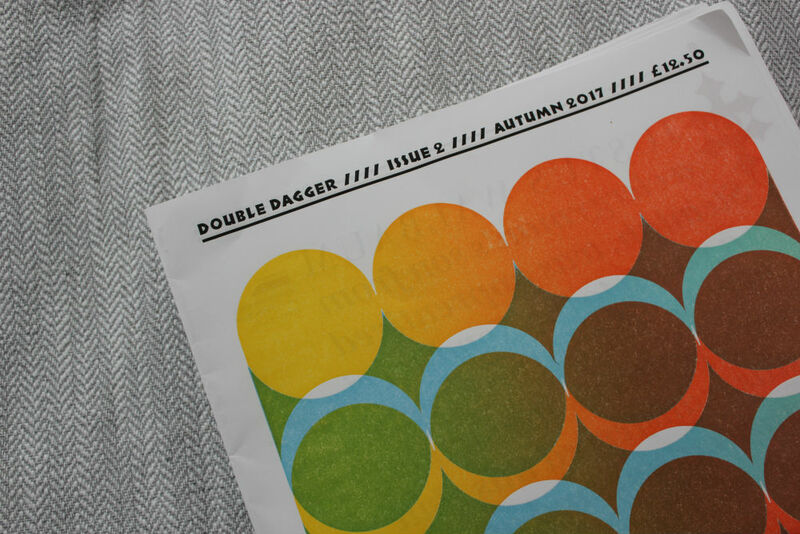 When unfolded and opened, the vastness of Double Dagger is totally immersive; the magazine obscures everything else around it. 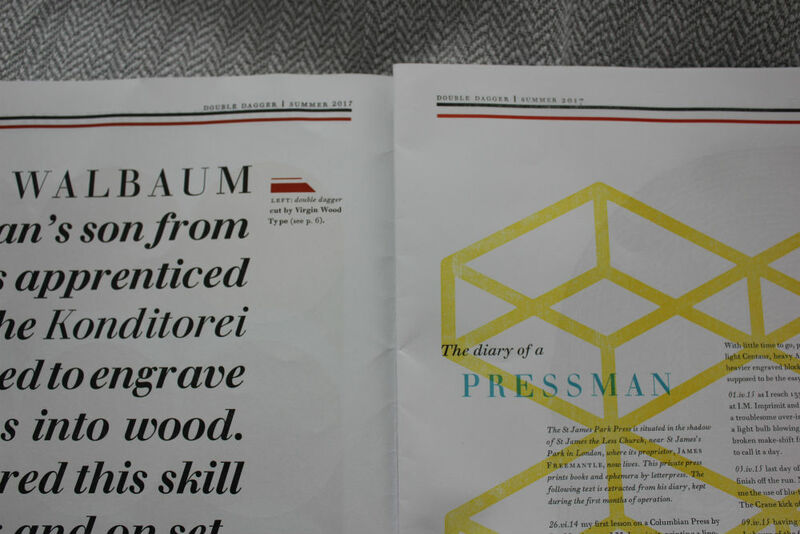 The sheer size of the magazine also helped me to visualise the scale of printing presses. 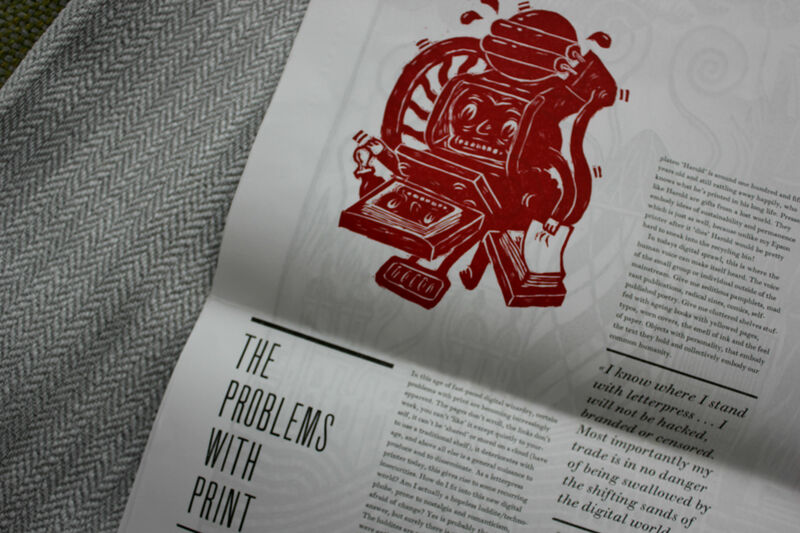 The issue was printed using vintage technology: a 1970’s Heidelberg Cylinder Press, type that was cast in hot metal and all the layouts are designed by hand. This gives Pat Randle and Nick Loaring, the founders of Double Daggers, the freedom to stop the press and make adjustments if needed. 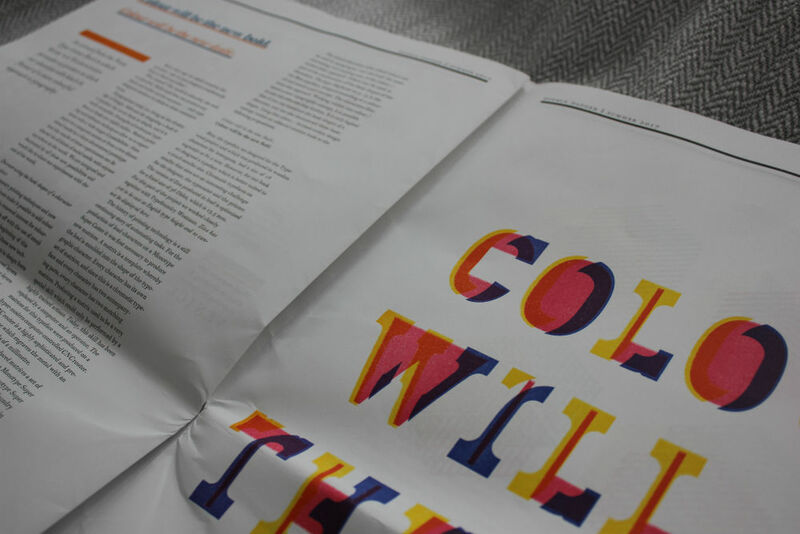 As we increasingly type and read on keyboards and screens, printing retains a connection to the craftsmanship of producing art and literature. Although letterpress printing is physically restrained by the ability of presses, Double Dagger celebrates these limitations and showcases the beauty and richness of the craft. 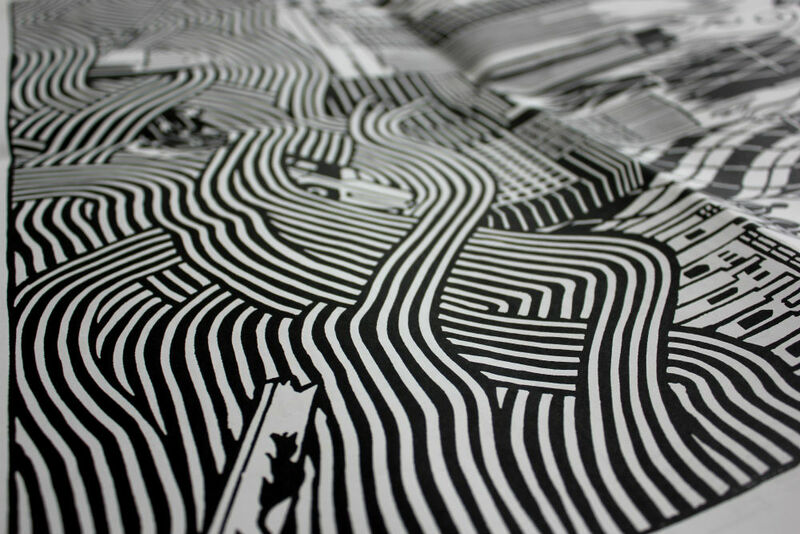 Double Dagger’s front and back covers, and intricate illustrations are even more astonishing and complex because they weren’t printed digitally. *The magazine’s name, ‘Double Dagger’, is a symbol used in typography to denote a footnote if an asterisk and a dagger has already been used.